This stainless steel bidet tap has coloured porcelain wheel handles and uses the latest in progressive water mixing cartridges, which is proving to be water and energy saving. 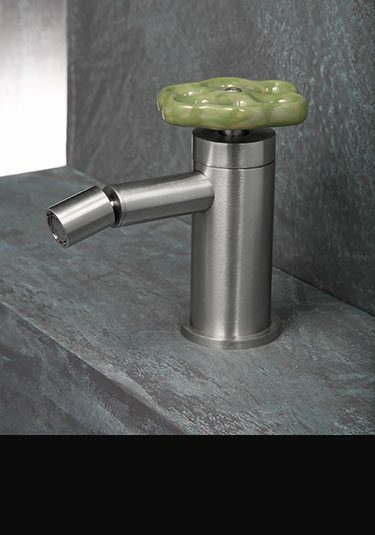 The tap is finished in a brushed satin finish with 8 colour choices of handle. * 316 Brushed stainless steel finish. * In 8 colour finishes.